The garden is growing well. The big job this week was to collect kourut from an old nursery. 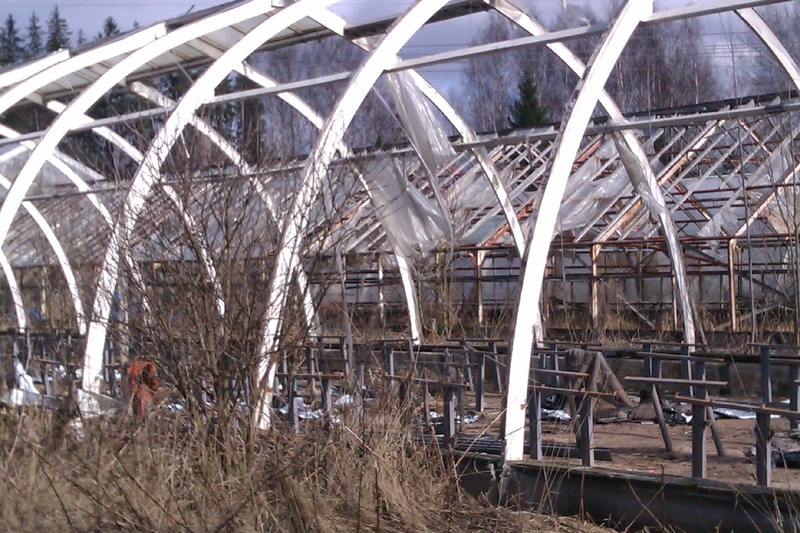 Harri and I has to transport the 6-7 meter kourut by trailer from near Hämelinnä and then erect them in our glasshouse. We then transferred our herbs from the growing table to the kouruja. During the week Perttu and I met with Suvi, a trainee gardener from Lahti, who would like to come to ROK for work experience. She will start next week on a part-time basis and hopefully come on-board full-time once the field is being worked. And......that cant be far away!!!! 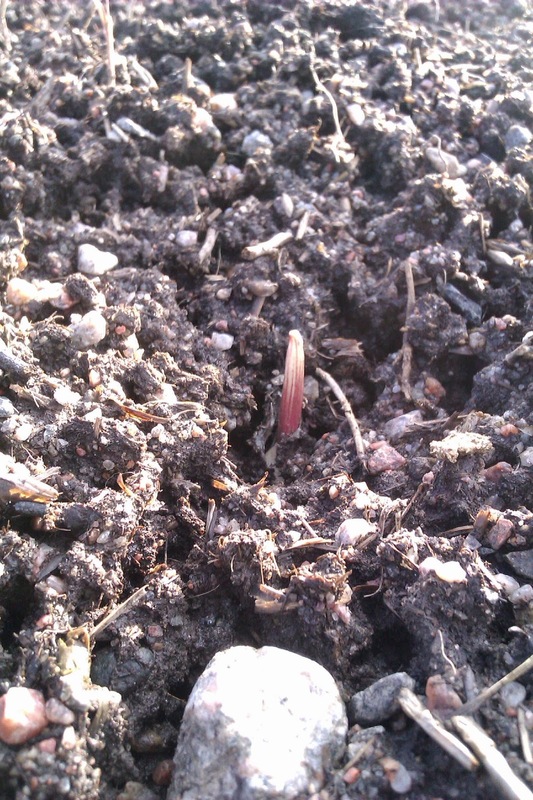 Thats our over-wintered garlic beginning to come out. 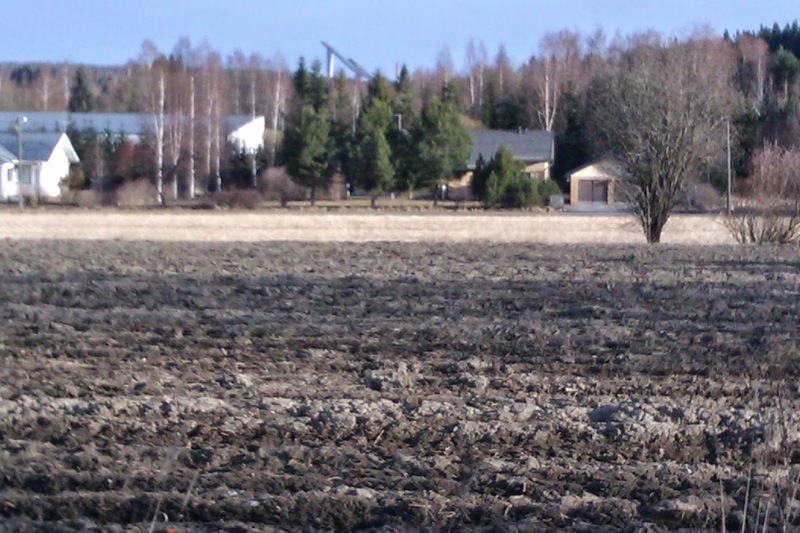 Perttu and I also met with the town forester about the bit of land at the back of the field that we are trying to take in hand. More about this next week.